RAND report: Self-driving cars could give police new powers. Should Cops Be Allowed to Take Control of Self-Driving Cars? A few lines in a seemingly routine RAND Corp. report on the future of technology and law enforcement last week raised a provocative question: Should police have the power to take control of a self-driving car? The police officer directing traffic in the intersection could see the car barreling toward him and the occupant looking down at his smartphone. Officer Rodriguez gestured for the car to stop, and the self-driving vehicle rolled to a halt behind the crosswalk. That seems like a pretty plausible interaction. 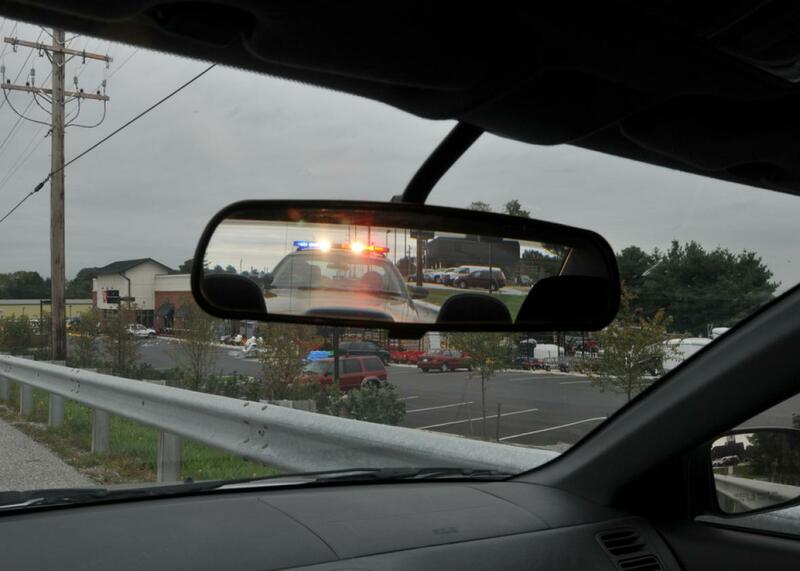 Human drivers are required to pull over when a police officer gestures for them to do so. It’s reasonable to expect that self-driving cars would do the same. To look at it another way: Self-driving cars are programmed to stop at red lights and stop signs. Surely they should also be programmed to stop when a police officer flags them down. It is, after all, the law. It’s clear, then, that police officers should have some power over the movements of self-driving cars. What’s less clear is where to draw the line. If a police officer can command a self-driving car to pull over for his own safety and that of others on the road, can he do the same if he suspects the passenger of a crime? And what if the passenger doesn’t want the car to stop—can she override the command, or does the police officer have ultimate control? Imagine a law enforcement officer interacting with a vehicle that has sensors connected to the Internet. With the appropriate judicial clearances, an officer could ask the vehicle to identify its occupants and location histories. … Or, if the vehicle is unmanned but capable of autonomous movement and in an undesirable location (for example, parked illegally or in the immediate vicinity of an emergency), an officer could direct the vehicle to move to a new location (with the vehicle’s intelligent agents recognizing “officer” and “directions to move”) and automatically notify its owner and occupants. Again, that all sounds benign enough, in itself. But if police have the capability to glean personal information from a sensor-equipped car, who will ensure that they have the appropriate clearances before doing so? And what if police want to direct the movements of a self-driving car when it does have humans inside? The RAND study, commissioned by the National Institute of Justice, did not attempt to answer those questions directly. Rather, it asked a panel of 16 experts in criminal justice and technology to identify imminent changes in information technology that might have an impact on law enforcement policies and procedures. What control police should have over self-driving cars was just one of numerous questions raised in the 32-page report, and it merited only a few paragraphs of discussion. Still, it’s clearly an issue that is on the radar of law enforcement already. And it’s likely to become more urgent in the coming years as self-driving cars attempt to cross the bridge from research project to commercial reality. You don’t even have to imagine it, really: Hackers are already taking control of cars via their onboard computers even without a built-in mechanism designed to allow it. I asked the report’s lead author, RAND Corp. operations researcher John S. Hollywood, whether he got the sense that the law enforcement representatives on the panel were eager to push for law enforcement control of Internet-connected and self-driving cars. He told me they weren’t. Rather, in ranking their priorities, they put “developing policies and procedures for self-driving unmanned and automated vehicles” at the top of the list. Among the policy and procedure questions they may ponder: Will they need a warrant before accessing a self-driving car’s data? John Frank Weaver discussed that issue in more depth in a recent Future Tense post. While the ranking is reassuring, it’s a little unnerving that such an interface would register as a priority at all. It shouldn’t come as a surprise, however. Given how hard the federal government and its spy agencies have pushed for backdoor access to our social networks and email servers, there’s little doubt they’ll want the same with our cars.